Victor Grignard – French chemist. A French chemist and corecipient, with Paul Sabatier, of the 1912 Nobel Prize for Chemistry for his development of the Grignard reaction, Victor Grignard was born on May 6, 1871, in Cherbourg, France. He was the son of a sailmaker. His character was described as having a humble and friendly attitude. The discovery, which was part of his doctoral thesis relating to organomagnesium compounds, opened a wide spectrum of organic synthesis. Grignard served as a teacher of chemistry at the ‘University of Lyon’. He also remained a Professor of ‘Organic Chemistry’ and Professor of ‘General Chemistry’ at the ‘University of Nancy’ and at the ‘University of Lyon’ respectively. He served as Director of ‘École de Chimie Industrielle de Lyons’ for over a decade. During the ‘First World War’, he examined the chemical warfare agents, especially the production of phosgene and also detected dichloroethyl sulfide that is mustard gas for its application as chemical weaponry. His other studies include ozonization of unsaturated compounds and condensation of ketones and aldehydes. He received several awards including ‘Cahours Prize’ in 1901 and 1902; ‘Berthelot Medal’ in 1902; ‘Prix Jecker Prize’ in 1905 and ‘Lavoisier Medal’ in 1912. He was honored with the order of ‘French Legion of Honor’ as Chevalier in 1912 and as Officer in 1920 and as Commander in 1933. He received honorary doctorates from universities of Louvain and Brussels. He was a foreign member of ‘Royal Swedish Academy of Sciences’ and Honorary Fellow of ‘Chemical Society’ of London. Victor Grignard, in full François-Auguste-Victor Grignard, was born on May 6, 1871, in Cherbourg, France in the family of a marine carpenter, Théophile Henri Grignard. From 1883 to 1887 he studied in local schools. After earning a scholarship, he joined the ‘École Normale Spécial’ school in Cluny in 1889. The objective of the school was to prepare modern secondary school teachers. However, after a couple of years, the school was closed following a conflict between proponents of classic and modern methods of secondary education. The students were transferred to other schools to complete their scholarship education. This is how Grignard joined the ‘University of Lyons’ in its ‘Faculté des Sciences’ department. Grignard could not succeed in the licentiate examination in mathematics. Then from 1892 till the end of 1893, he went to fulfill his military service and thereafter came back to Lyons. After one year of service, Grignard went back to pursue mathematics at the University of Lyon and finally obtained his degree Licencié ès Sciences Mathématiques in 1894. In 1910, François-Auguste-Victor Grignard married Augustine Marie Boulant and the couple together had a son and a daughter. His son, Roger Grignard, born in 1911, was also a chemist. After fulfilling his military service from 1892 to 1893, Victor Grignard completed his studies in mathematics at Lyons and, influenced by a classmate from Cluny, overcame his dislike of chemistry and became an assistant in the chemistry department. 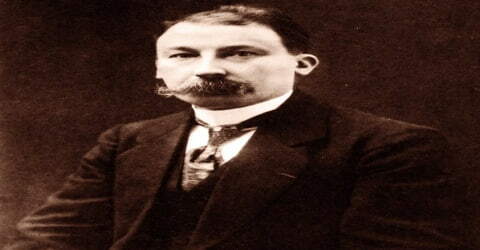 He soon began a long association with Philippe Antoine Barbier, the head of the department, who in 1898 investigated the conversion of an unsaturated ketone into the corresponding tertiary alcohol by using methyl iodide and magnesium instead of zinc as called for by the Saytzeff method. When Grignard was looking for a doctoral thesis topic, Barbier recommended that he take up the study of this variation on the Saytzeff reaction. Victor Grignard worked very closely with Philippe Barbier and their research was focused on organomagnesium compounds. They sought to synthesize alcohols from alkyl halides, aldehydes, ketones, and alkenes. Grignard hit upon the idea of treating the iodide with the magnesium first and carried out the reaction in the ether. This first of the Grignard reagents was a complete success. Grignard’s discovery was reported in a short paper at a meeting of the Académie des Sciences in May 1900. Although he was frequently opposed, Grignard held to the view throughout his life that the organomagnesium compounds he prepared had the formula RMgX and that in anhydrous ether they existed as the etherate which most likely had the formula (C2 H5)2O (R) MgX. Soon Grignard developed the use of such reagents, which later played a significant role in organic synthesis. There were at least six thousand papers that were published in 1935, at the time of his death, which convey applications of the ‘Grignard reaction’. He applied the agents to develop and examine the exotic alcohols, keto-esters, nitriles, ketones and terpene compounds and came out with a procedure for the synthesis of fulvenes. His other research works include the catalytic hydrogenation and dehydrogenation procedures, breaking up of hydrocarbons in presence of aluminum chloride and composition of unsaturated compounds with the aid of quantitative ozonization. In 1901, Grignard published his doctoral thesis titled “Thèses sur les combinaisons organomagnesiennes mixtes et leur application à des synthèses d‘acides, d‘alcools et d‘hydrocarbures”. He became a professor at the University of Nancy in 1910. That same year, he and Paul Sabatier (1854-1941) were awarded the Nobel Prize in Chemistry in 1912. During World War I he studied chemical warfare agents, particularly the manufacture of phosgene and the detection of mustard gas. His counterpart on the German side was another Nobel Prize-winning chemist, Fritz Haber. In 1905 Grignard was inducted as Maître de Conférences at the ‘University of Besançon’. The following year he joined ‘University of Lyon’ and held a similar position until 1908 when he became a Professor of Chemistry in the university. Grignard’s method of synthesis thus became widely known and firmly established. By 1908 more than 500 papers dealing with the Grignard reaction had been published. In his thesis Grignard described the preparation of carboxylic acids by the action of carbon dioxide on his reagent; secondary alcohols from aldehydes or formic esters; tertiary alcohols from ketones, esters, acid halides, or anhydrides; and unsaturated hydrocarbons in place of tertiary alcohols. He reported that alcohols react with organomagnesium compounds, as does water, to produce hydrocarbons and that aromatic bromides lead to products analogous to the aliphatic compounds. In 1912 two volumes of his book, ‘Le Catalyse en Chimie Organique’ (Catalysis in Organic Chemistry) was published. Around 1917 to 1918, Grignard went to the United States and participated as a chemical representative on the ‘Tardieu Committee’. He visited the ‘Mellon Institute’ where he delivered a lecture as well. Formation of the “Grignard reagent”, which is an organomagnesium compound made by the reaction an organohalide, R-X (R = alkyl or aryl; and X is a halide, usually bromide or iodide) with magnesium metal. The Grignard reagent is usually described with the general chemical formula R-Mg-X, although its structure is more complex. Addition of the carbonyl, in which a ketone or an aldehyde is added to the solution containing the Grignard reagent. The carbon atom that is bonded to Mg transfers to the carbonyl carbon atom, and the oxygen of the carbonyl carbon becomes attached to the magnesium to give an alkoxide. The process is an example of nucleophilic addition to a carbonyl. After the addition, the reaction mixture is treated with aqueous acid to give alcohol, and the magnesium salts are subsequently discarded. In November 1912 the Nobel Prize for chemistry was awarded jointly to Grignard, for his 1900 discovery of the role or organomagnesium compounds in synthesis, and Paul Sabatier, for his discoveries in catalytic hydrogenation made fifteen years earlier. Continuing his research on organomagnesium compounds, Grignard investigated their reactions with epoxides, glycols, and with Cyanogen to produce nitriles. In army service from 1914 to 1919, he worked primarily on toluene production and war gases. He succeeded Barbier at Lyons in the fall of 1919, remaining there the rest of his life. Post ‘World War I’, Grignard returned to Nancy and thereafter joined the ‘University of Lyon’ in 1919 succeeding Philippe Barbier as Professor of General Chemistry. He served the post till 1935. After the war, he began compiling his ‘Traité de Chimie Organique’ (Treatise on organic chemistry), two volumes of which were published in 1935, while the multi-volume treatise was completed by his collaborators after his death. Grignard remained Director of ‘École de Chimie Industrielle de Lyons’ from 1921 to 1935. He was inducted as Dean of the Faculty of Sciences at the ‘University of Lyon’ in 1929. At the time of his death, some 6,000 papers reporting applications of the Grignard reaction had been published. François-Auguste-Victor received the ‘Nobel Prize in Chemistry’ in 1912 along with French organic chemist Paul Sabatier. François-Auguste-Victor Grignard died on December 13, 1935, in Lyon, France. 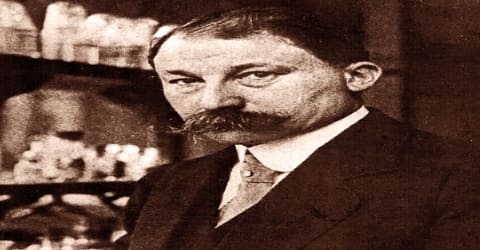 In addition to his organometallic researches, Grignard investigated terpenes; structure determination by ozonization; the condensation of carbonyls; and the cracking, hydrogenation, and dehydrogenation of hydrocarbons. His most remarkable work was discovering a new process of developing carbon-carbon bonds applying magnesium to couple ketones and alkyl halides, which was famously known as the ‘ Grignard reaction’. 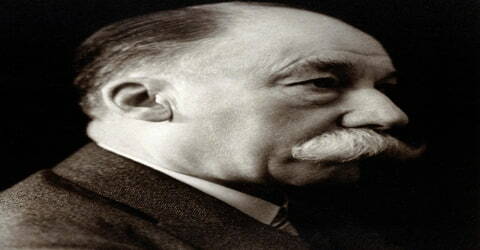 In recognition of his monumental contributions to chemistry, Grignard was a member or honorary member in the world’s major chemical and scientific societies. Honorary doctorates were conferred on him by Louvain in 1927, Brussels in 1930, and an honorary professorship by Nancy in 1931.